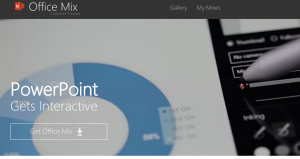 Microsoft has released a new way to make presentations called Office Mix. In their words, Office Mix gives Powerpoint “superpowers”. It’s free and you can check it out right here. Also, there are some great tutorials online right here.